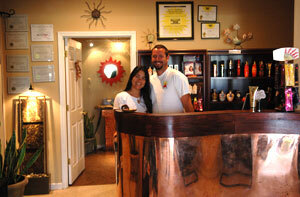 Saule Tanning offers the best products available to help you get a deep, dark tan and keep it longer. Products from Swedish Beauty, Australian Gold, and Designer Skin nourish and prepare your skin for optimal tanning in our beds. Need goggles? We've got those too! For more information on the services we offer, click the links above or at the top of the page. You can also contact us by phone at 910.794.9104 with any questions or come by the salon at 2877 Carolina Beach Road to get started . and the best tanning systems in Wilmington!